Joshua Giddings could promise John Brown no war in Kansas from the comfort of Washington City. Brown had to deal with the reality on the ground. At first, it didn’t look too bad and Brown’s perpetual optimism might well have kicked in. He busied himself readying a cabin for a man he knew who planned to move to Kansas soon. Then he and the boys set to surveying the boundaries of the Ottawa reservation. March brought new streams of white colonists along with Giddings’ promises, mostly from the free states. The time has come when she [Missouri] can no longer stand up single-handed, the lone champion of the South, against the myrmidons of the North. It requires no foresight to perceive that if the ‘higher law’ men succeed in this crusade, it will be but the beginning of a war upon the institutions of the South, which will continue until slavery shall cease to exist in any of the States, or the Union is dissolved. The struggle in Missouri would lead to a struggle for the South entire. Anxious border state men and deep South enslavers alike had to take note, because events in Kansas now neared a critical stage. Kansas had elections in October of 1856 “and unless at that time the South can maintain her ground all will be lost.” Enough talk, the time for action had come and slavery did not have much time at all to win through. we must have men in Kansas, and that by tens of thousands. A few will not answer. If we should need ten thousand men and lack one of that number, all will count nothing. Let all them who can come do so at once. Those who cannot come must give money to others to come. Tens of thousands of men would probably come near equaling Kansas’ white population, but urgency breeds exaggeration. Even if nowhere near so many men showed up armed and ready to fight for slavery, the proslavery side now threatened to at least match the Yankees with a national movement. Already anxious about more Missourians showing up, they had to wonder how many men might make the long trek from other states. Back in December, the Missourians had homes nearby to get back to. Anyone who came from farther away would probably mean to stay for the duration and want more satisfaction for the trouble. Giddings might promise peace, but the other side looked bent on war. In late February, 1856, John Brown wrote Joshua Giddings from Kansas. He feared that the Army would soon suppress the free state movement. If that happened, Brown thought that antislavery Kansans might well fight it out and so make themselves traitors to the United States by the ordinary understanding of the term as well as by the one Franklin Pierce dreamed up. Congress might get in the way of that, so Brown wrote Giddings pleading for an inside line on what the body intended. It took a while for Giddings to write back, but he did on March 17. 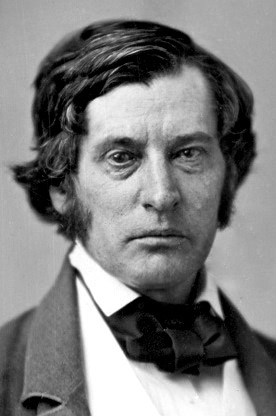 He gave Brown mixed news, pointing out that the anti-Nebraska coalition that controlled the House but that they depended on Know-Nothings for their majority “and they are in a very doubtful position.” Giddings could only promise that he and other antislavery men would “try to relieve you.” Brown can’t have taken much solace in that. The President never will dare employ the troops of the United States to shoot the citizenbs of Kansas. The death of the first man by the troops will involve every free State in your fate. it will light up the fires of civil war throughout the North, and we shall stand or fall with you. Such an act will also bring the President so deep in infamy that the hand of political resurrection will never reach him. 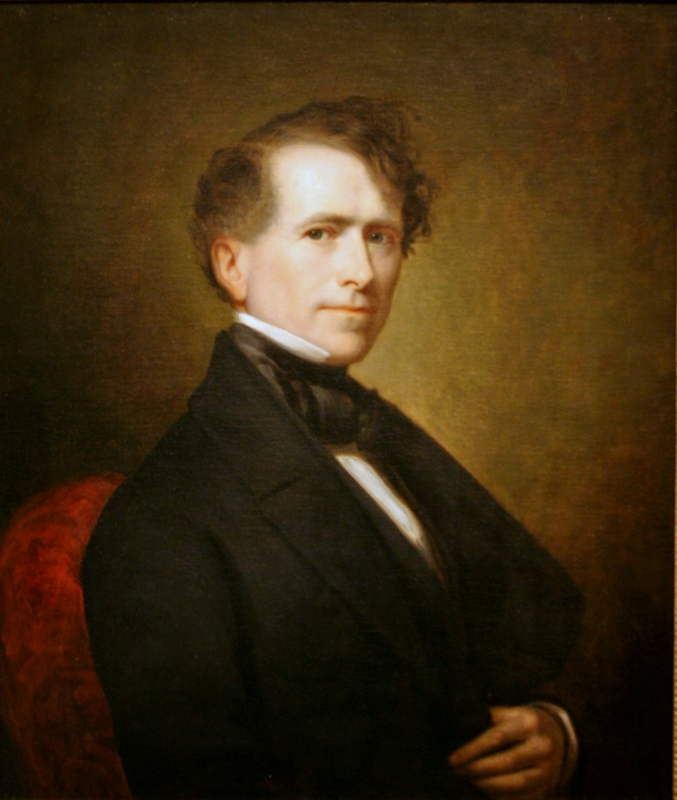 Pledging to Franklin Pierce’s good faith would satisfy few save proslavery extremists, then or now, but Giddings repeated the common understanding of the political class. Affairs in Kansas posed a genuine risk of civil war. Should the conflict intensify, passions already ignited over the repeal of the Missouri Compromise and kept alive through continued news of strife would ensure that it spread. None could say where it would end. Your safety depends on the supply of men and arms and money which will move forward to you relief as soon as the spring opens. As January turned to February, back in 1856, John Brown wanted to know what Congress meant to do about Kansas. He suffered bitterly from homesickness and the news of the murder of an antislavery man on the heels of rumors that Missouri would come back can’t have helped his state of mind. Nor could word from the President of the United States that he considered Brown and the free state movement dirty traitors who needed suppression. He wrote home anxiously about the situation. As a frequent Ohioan of antislavery bent, Brown had long followed the career of Joshua Giddings. The two men had met previously and Brown expressed his admiration then. Now he turned his pen to learning what Congress might do from an actual congressman. I write to say that a number of United States Soldiers are quartered in this vicinity for the ostensible purpose of removing intruders from certain Indian Lands. It is, however, believed that the Administration has no thought of removing the Missourians from the Indian Lands; but that the real object is to have these men in readiness to act in the enforcement of those Hellish enactments of the (so called) Kansas Legislature; absolutely abominated by a great majority of the inhabitants of the Territory; and spurned by them up to this time. I confidently believe that the next movement on the part of the Administration and its Proslavery masters will be to drive the people here, either to submit to those Infernal enactments; or to assume what will be termed treasonable grounds by shooting down the poor soldiers of the country with whom they have no quarrel whatsoever. Brown asked, essentially, if Giddings thought that Franklin Pierce meant his declaration of war. Would soldiers dispatched, officially, to preserve Indian reservations instead be used to force white men to submit to proslavery tyranny? He thought so, warning Giddings that if things went that way antislavery Kansans would probably take up arms against the Army. Or at least that Brown might; the free state leadership consistently chose otherwise. The rank and fire antislavery men of the territory might go either way. They proved receptive to Brown’s style of militancy and did suffer under a genuine, often present threat to their lives and property. Such things can drive one to extreme measures. Brown had charisma and clarity of vision. With their backs to the wall and the regular leadership trying to navigate some kind of politically prudent, emotionally unsatisfying course many might choose to follow the straight talking old man from Osawatomie. Immediately thereafter Brown begs Giddings “in the name of Almighty God,” “our venerated fore-fathers,” and “all that good or true men ever held dear” would Congress go along with that? January of 1856 brought good and bad news for the Browns out in Kansas. John Junior won nomination and then election to the Topeka legislature. The Missourians stayed away from the Browns’ corner of Kansas even when the free staters threw that election. But the miserably cold winter also left the family destitute, low on food, and news came that the Missourians had gotten to the free state polls at Leavenworth. As part of that, they hacked to death Reese Brown (no relation). Rumor out of the Show Me State had it that they would come back as soon as it warmed up some and the snow melted. Along the way, Franklin Pierce also declared against the free state cause and that raised the specter of the United States Army stepping in. On February 20, Brown wrote back to North Elba. He had letters from the sixth and sixteenth of January, both received just the last week. This week we get neither letter nor paper from any of you. I need not continually repent that we are always glad to hear from you, and to learn of your welfare. I wish that to be fully understood. Stern phrasing aside, Brown clearly missed his loved ones back in New York and wanted to hear from them constantly. We don’t write letters anymore, but before email and phone calls people wrote endlessly to one another. Then they kept the letters to read and reread, a habit intensely gratifying to historians. Someone who said they would write every day might mean it literally. Brown held up his end of the correspondence by updating the family on how they did in Kansas. He and Salmon wrote from Osawatomie on their way back from Missouri, where they paid thirty cents for a bushel of corn. I have but little to write this time, except to tell you about the weather, and to complain of the almost lack of news from the United States. We are very anxious to know what Congress is doing. We hear that Frank Pierce means to crush the men of Kansas. I do not know how well he may succeed; but I think he may find his hands full before it is all over. By the time Brown wrote, he could have read Pierce’s statement in the Herald of Freedom or elsewhere. Congress might still act to restrain the president, though. We tend to focus on the presidency, with good reason, but congressional leaders had a much higher profile in Brown’s day and might well use it to make Pierce’s life difficult. The opposition controlled the House, which helped. That the opposition coalition specifically organized on anti-Nebraska principles helped still more. When he wrote, Brown knew that he had at least a few friends in Washington City and the might plausibly speak for the chamber. 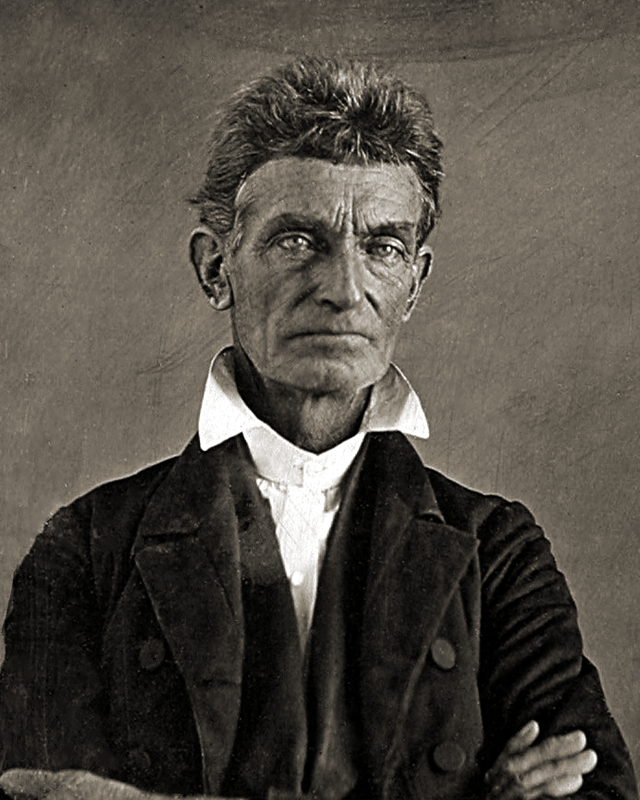 We left John Brown in the wake of the Wakarusa War, which brought with it a peace settlement he distrusted as much as he liked the outcome of the proslavery Missourians going home. 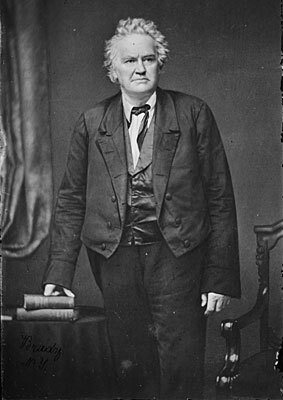 He thought Kansas’ troubles might soon come to an end, a hope that must have tracked closely with ratification of the Topeka Constitution in December of 1855. The winter brought bitter cold and deep snow down upon Kansas. Still, Brown forged on. He wrote home that things went tolerably well. That included frequent trips to Westport, where Brown challenged the locals with the declaration that he opposed slavery and lived in Kansas. They ignored him and took his money, which ran out despite receiving a fair sum from his aged father. Consequently, the food ran low too. Two of Brown’s sons suffered frozen toes that winter and a third, Frederick, had another attack of the mysterious ailment that brought terrible headaches and left him near mad with pain. The conditions got to Brown, who again considered taking his own claim in Kansas and again abandoned the plan. He still wanted to end his days in North Elba. He suffered through a miserable bout of homesickness for the Adirondacks, which he declared almost enough to “unMan” him. I don’t have access to the original letter for context, if Brown provided any, but clearly he felt near to breaking. Whether that meant just an emotional collapse or drawing near to quitting Kansas completely, I can’t say. Still, Brown kept busy. The ratification of the Topeka Constitution meant that the free state government had a full slate of officers and legislators to fill. He presided over the meeting that Osawattomie that nominated men for the new legislature. John Junior got the nod, which pleased Brown greatly. On January 15, the polls opened and Brown trooped down to Pottawatomie with a basket full of guns and knives again; you never knew when a Missourian might show up. Junior won his seat, which had to please the elder Brown more still. He’d gone around the area as a tough-talking antislavery man, a chip off the old block, and the voters approved. Then word arrived that cowardice had not kept Missouri at bay, only the cold. As soon as it warmed up and some of the snow melted away, the proslavery men meant to come again into Kansas and work some ruin. That news received swift confirmation in word out of Leavenworth, where the Missourians came to trouble the polls after all. Reese Brown (no relation) caught the worst of it for the free state side, hacked nearly to pieces and left dying on his own doorstep by the Kickapoo Rangers. Almost at the same time, Franklin Pierce declared that all Kansas’ troubles lay at the feet of antislavery men. He deemed the free staters revolutionaries and insisted that their continued activity constituted an insurrection. In other words, John Brown now had an enemy in the White House. We left Lawrence behind on the back in May of 1856. A proslavery posse rampaged through the town, burning homes, destroying printing presses, and razing the Free State Hotel. 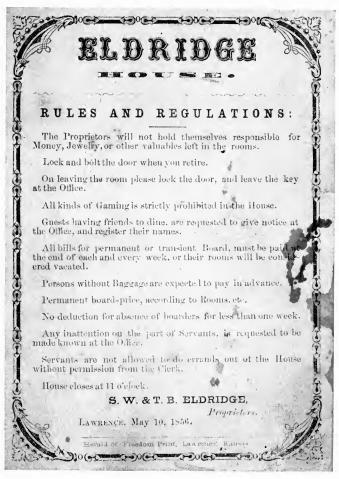 They did all of this on a quest, officially, to apprehend free state leadership for whom Samuel Lecompte’s grand jury issued warrants and then to arrest people who participated in the shooting of Samuel Jones, or who rescued Jacob Branson from his custody, or just to destroy the hated antislavery party in their headquarters. Every reason pointed worked equally well as pretense, though the indiscriminate and opportunistic nature of the attack suggests that most of the mob preferred the last. Their officers struggled to restrain them from general pillage. After all that fell out, Governor Wilson Shannon finally stirred himself. He behaved suspiciously all through the lead up to the attack on Lawrence, indicating that he might have expected and hoped things went badly for the antislavery town. Shannon could have furnished Israel Donaldson with a posse drawn from Colonel Sumner’s command. (I know of no relation between the E.V. Sumner who led the First Cavalry from Fort Leavenworth and Charles Sumner.) Everyone on the ground seems to agree that the military would provide more disciplined, reliable service. Either Shannon didn’t offer the cavalry to Donaldson -he shies away from saying that he did- or Donaldson refused him. When explaining himself later on, Shannon would surely have mentioned such an exculpatory refusal. As it happened, he dispatched them only once he knew that Lawrence had felt proslavery wrath. 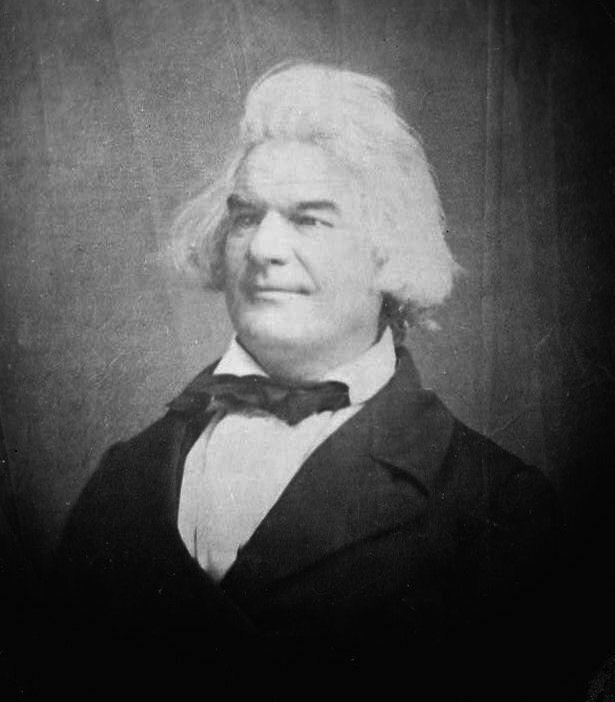 Shannon explained his action now as aimed at preventing all-out war in Kansas, which he believed would soon lead to a general civil war. By placing companies at Lecompton, Topeka, and Lawrence he would get them between the combatants. Shannon would also greatly appreciate it if the military would disperse and disarm the free state militias, which he continued to believe constituted the real problem for his territory. The Governor need not explain that all to Franklin Pierce, who agreed with him, but the president had complained of not receiving adequate updates on the situation and Shannon needed to look good for the boss. Across the political divide, Kansas antislavery party had appearances in mind too. Donaldson had come to Lawrence with a federal posse, under his authority as a US Marshal and serving warrants from a federal court. Attacking him would have meant rebellion against the United States, something which they had to avoid the appearance of to both keep the heavy hand of Washington from descending on them and maintain public sympathy in the North. Furthermore, with debts still owed for all their military action in the Wakarusa War and the inconvenient season -the busy spring rather than the more idle winter- they lacked the means and men on hand to make a real fight of it. They adopted a strategy of nonresistance out of those circumstances. Many antislavery men griped at that course, deeming their leaders cowards. With lives, family, property, and futures in Kansas all at stake sitting out the fight was a tall order. Even in the best of times, nonviolence while under violent threat requires a great deal of personal conviction and discipline. We can too easily forget now that the nonviolent Civil Rights movement engaged in direct action with the expectation that activists would be attacked, beaten, and even killed. Simple dignity and decency didn’t move white Americans in their favor; horror at their suffering on the television every night did. Charles Sumner would have none of this notion of fixing Kansas by calling it all a fait accompli and castigating antislavery Kansans for protesting the illegitimacy of the government erected over them by proslavery men out of Missouri. They had sacred rights of self-government, the patrimony of all white American men freshly promised to them by the Kansas-Nebraska Act. To cede that meant knuckling under to tyranny, just as bad King George demanded of Americans. The second solution Sumner’s foes offered, “which, indeed, is also a Remedy of Tyranny; but its Folly is so surpassing as to eclipse even its Tyranny.” This time around, perfidy came not from Franklin Pierce -he must have needed a break; few presidents have done better at doing worse- but Andrew Butler of South Carolina. Butler’s “single contribution” deserved to have his name on it, but Sumner gave it “a more suggestive synonym.” In other words: Butler, thy name is folly. The President of the United States is under the highest and most solemn obligations to interpose; and if I were to indicate the manner in which he should interpose in Kansas, I would point out the old common law process. I would serve a warrant on Sharpe’s rifles, and if Sharpe’s rifles did not answer the summons, and come into court on a day certain, or if they resisted the sheriff, I would summon the posse comitatus, and would have Colonel Sumner’s regiment to be a part of that posse comitatus. Butler wanted Pierce to order the seizure of antislavery arms and send the Army and militia down upon them if they refused, largely as happened in Kansas even as Sumner spoke. 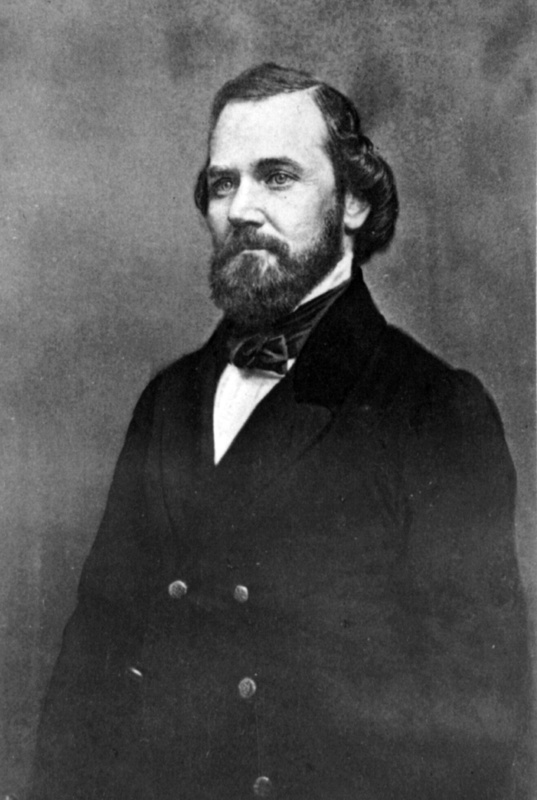 He proposed Wilson Shannon’s solution: disarm the antislavery side and leave them at the mercy of the proslavery party. Per Sumner, that would deprive antislavery Kansans of their “tutelary protector against the red man and the beast of the forest.” They had a Second Amendment right on top of that, which a former judge of many years ought to know. Had Butler forgotten his law? His past honors could not make it look any better: Andrew Butler wanted freedom’s friends in Kansas stripped of the means to defend themselves before savage foes. 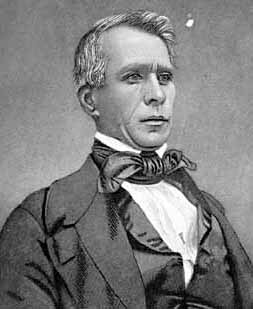 Sumner reiterated nineteenth century racism in putting the Native Americans among them and in the company of wild animals. He went a step further, by implication, and lumped the proslavery whites in together with the lot. Maybe Sumner didn’t view them as exactly equivalent -they had white skin, after all- but he took enough care in his writing to mean the audience to draw the inference.